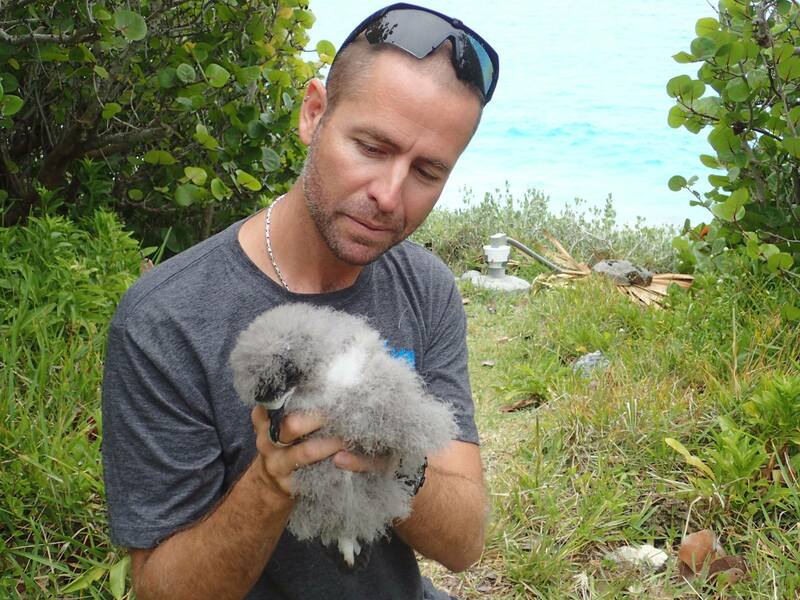 Dr. Raine is a Bermudian ornithologist who has worked on conservation projects throughout the world. He has a PhD from the University of East Anglia on moorland birds and has written three bird books, including The Photographic Guide to the Birds of Bermuda, and numerous scientific publications. His work has taken him around the world to conservation projects in Papua New Guinea, New Zealand, the Seychelles, England and Zambia. He currently runs an endangered seabird project on the island of Kaua’i, in Hawaii. Bermuda Experience – Raine spent his youth exploring the rocky coastlines and tide pools of St. David’s Parish. While undertaking his BSc in Wildlife Biology in Canada, he returned each summer to work as part of the government’s Conservation Unit, becoming an expert on the island’s wildlife. He also spent several years helping with conservation efforts to recover the population of Bermuda Cahow – one of the world’s rarest seabirds – and became the second person to successfully hand-rear an abandoned Cahow chick to fledging. His MSc thesis focused on Bermuda’s only endemic terrestrial vertebrate – the Bermuda Skink. Manager for BirdLife Malta. During that time he worked on a variety of projects, including coordinating and compiling the first Breeding Bird Atlas for the Maltese islands, tackling wildlife crime issues related to illegal hunting and trapping and undertaking a range of research projects with Malta’s enigmatic Yelkouan Shearwater. Helen Raine has an MSc in Conservation and has worked as a Conservation Officer for Natural England UK and a Project Manager for the EU LIFE Yelkouan Shearwater Project with BirdLife Malta. She has undertaken fieldwork in England, Malta, Peru, Zambia and Hawaii, often living for months in a tent. Her adventures in bird ringing and conservation continue to take her around the world. As a freelance journalist, she has published hundreds of travel articles on adventure destinations for inflight magazines and travel supplements. She writes on a diverse range of subjects for newspapers including the Times of Malta, Il-Bizzilla (Air Malta’s inflight magazine) and ‘Pink’, a women’s magazine. She also works as a seabird biologist in Kaua’i. Find her work at www.helenraine.com. 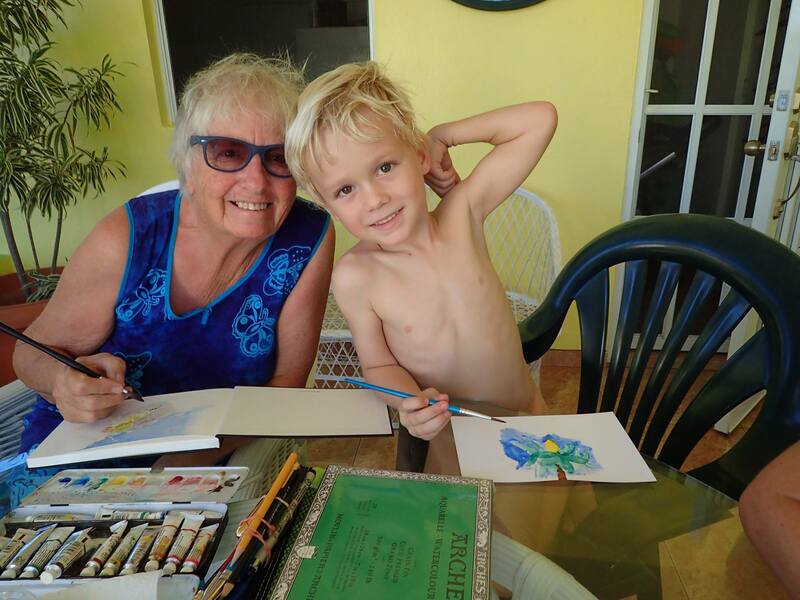 Bermudian Jill Amos Raine is a teacher, artist and former gallery owner. A watercolourist, Jill has been honoured on various occasions; her work was presented to royalty, including Queen Elizabeth II, Princess Anne, Princess Margaret and also Margaret Thatcher. She was chosen to represent the country in Carib Art, and has has exhibited as a Bermuda Biennial artist four times, in 1994, 2002, 2006 and 2008. Recently, she was Grand Marshall for the Bermuda Day Parade and a participant in Bermuda’s “World Intellectual Property Day” celebrations. She was selected as the Artist in Residence in Breckenridge, Colorado in 2011. Originals and prints may be purchased directly from Jill or from several Bermuda galleries. Jason is an art director and scientific artist who specializes in biomedical visualization and 3D animation. His illustrations have appeared in pre-eminent science textbooks for high schools, post-secondary and medical schools across North America. His work in 3D animation has been used to educate physicians, nurses, scientists and patients across Europe, Austalia and North America, and has been awarded numerous international awards in healthcare education and marketing. Geoffrey Saliba is a leading Maltese Conservationist and has been involved with BirdLife Malta for over 10 years. He started as as a volunteer, joining staff as the Campaign Coordinator, is a former BLM President and a current council member. He is the Malta Business Bureau’s Sustainable Development Manager, working on energy and water issues relating to industry. An experienced project manager, his work has won awards from the Ministry for the Economy, Investment and Small Business, the European Projects Association, and DG ENV within the European Commission.